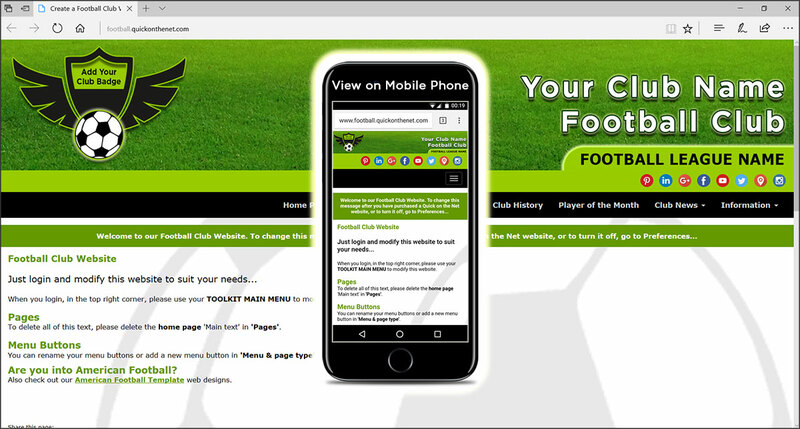 We also offer a professional website template range which can be customised to suit the needs of your sports club or sports business. Whatever your sport, whatever your passion; now YOU can get online today with QuickontheNet.com. The range includes ready-to-go stylish design options for football (soccer), American football and cricket. To get you started, we have created a football logo for you, but you can add your own team badge or crest and change the design to suit your needs. Building a great sports site can take time and effort, but you will quickly discover we have already done a lot of the hard work for you. Sign-up, log in, upload your photos and add your cricket information. You will be pleasantly surprised with how quickly it can all happen. For more details on our web design template service for cricket clubs, visit QuickontheNet.com and discover how to design a cricket club website. Making changes is easy! It's no problem to add new menu buttons, or rename and remove some of the current buttons. 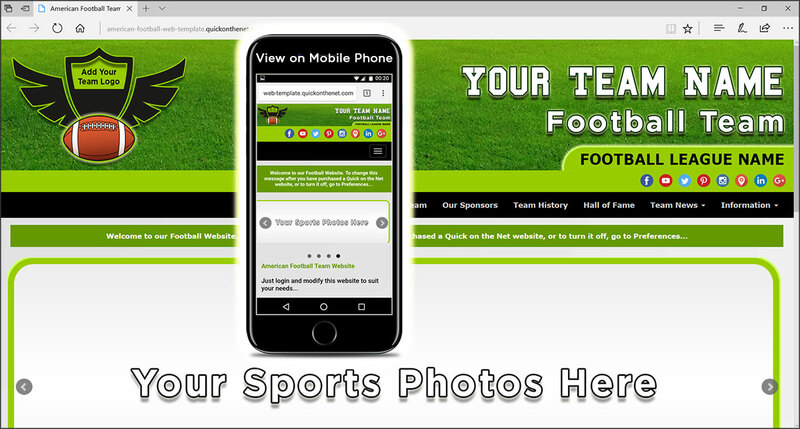 Adding photos and videos of your team in action is very simple.